Are Noodler's Inks Safe And Good? I only used lamy inks and I'm interested in trying out new inks and I saw some that caught my attention because of their beautiful colors like noodler's walnut, bad blue heron, the Lawrence and any other black ink. I have also heard that some are resistant to the passage of time, water etc. So I ask you what do you think about these inks? I like some and dislike others. Pretty much like with any other ink brand. Walnut is pretty dry -- so it needs to be in a wetter pen (it does great in my 1990s era Pelikan M400 with the juicy F nib). El Lawrence is the weirdest color ink I've ever seen, but I like it -- saw a review someone did a few years ago and kept staring at the images, so I knew I had to have it). Kung Te Cheng is something of a problem child -- but it's pretty much everything proof, and I've never found another ink that remotely like that dark indigo with the purple undertones. Some of the others I don't like as well (some have feathering issues and need to be diluted slightly with distilled water). The only complaint I have about Noodler's inks is that there is variation between batches -- one of the worst is La Coleur Royale, which can be anywhere from purple to a purple tinged blue. Some Noodler's inks are problematic, while others are less so. You'd do well to read any threads and/or reviews discussing the Noodler's inks you're interested in. But I have some specific caveats. The Baystate inks should not be mixed with even the slightest residue of any ink not in the Baystate line. Mixing even very small amounts of other inks with a baystate ink results in a horrible precipitate mess. Most fans of Baystate Blue have a specific pen that they dedicate to that ink, and they never put it in any other, or use any other ink in that pen. A lot of people think that any of the bulletproof and part-bulletproof inks require more cleaning than other inks. This includes the entire Warden line, the Eternal line, and a whole bunch of others. I'd also include Borealis Black, as I find it settles in the bottle. On the other hand, Amberlea Davis has used Rattler Red Eel to clean some blue residue from a converter. So that one ought to be okay. I do not know, but those bullet proof inks interest me more than anything to sign important documents or personal letters that last but that is difficult to maintain do not know. The short answer is yes and yes, with really only one exception and that is the Baystate line. I order to make the colors pop the way they do, the inks have some less than ideal properties. As others have mentioned, many use a dedicated pen for those. There are no confirmed inks in their line that damages pens, beyond the staining of the Baystate Blue and the fact you cannot mix it with other inks. Like anything else, good pen hygiene goes a long way, regardless of ink manufacturer. Edited by FLZapped, 12 September 2018 - 07:05. Many people love Noodlers inks and use them without problem. Some people like Richard Binder will void the warranty of work they have done on a pen, if people used Noodlers ink. In a modern pen such as a Lamy 2000 I would think you are safe, just make sure you clean well between changing colors. For example mixing Bay State Blue with some other inks will turn it to sludge. Some Noodlers ink needs to be cleaned out with a bleach solution, again Bay State is one of those. There is an index of ink reviews done here, check them out on the colors you want to try. Most of the reviews will say how easy or hard the ink is to clean up and the water resistance. Mr. Noodlers is a fountain pen enthusiast. He *wants* people to use fountain pens, not destroy them. I firmly believe he is the #1 reason for the abundance of inks in the present market. With the exceptions of some unique inks mentioned by others, the primary item of note is that Noodlers inks are not weak. They are bold. They are strong. They are saturated. You can refill your empty pen with plain water and keep writing from the ink trapped in the feed. My opinion is that your biggest problem will be flushing your pens. You'll learn first hand just how much ink a pen can hold when you're actively trying to get rid of it. I understand you are telling me, they are good inks only that they are strong and saturated therefore they require a more laborious cleaning to remove all trace of the ink. Then how often does it have to be cleaned apart from when you change colors? Depends on the pen. And also on the specific ink. Some Noodler's inks are actually pretty benign (in spite of the "boogeyman" stories). I didn't hesitate to put Purple Heart into a Plum 51 (well, hey -- 51s were designed to use *Superchrome* ink after all.... And if I didn't already have some nice reds, I could easily see myself getting a full bottle of basic Noodler's Red. As others have said, it depends on the ink. I have used Bad Belted Kingfisher in both a Pelican 800 and an Edison Collier and find I need to flush the nib out with water every other fill. My wife uses Violet Vote and we do the same thing. On the other hand, I have gone whole school years with Nikita, Rattler Red, and Ottoman Rose in three different grading pens (two vintage) and just refilled, refilled, and refilled again with nary a flush to keep the ink flowing. The bulletproof inks seem to need a little extra care. Every day is a chance to reduce my level of ignorance. As most have said, Noodler's inks are a mixed bag. I personally do not care for most of their formulations. I love the colors though. I would suggest that you review the ink reviews here on FPN before buying - that goes for any ink. There are some great reviewers here who can give you a good idea of how well behaved the ink is. 2) not thoroughly cleaning pens before switching inks. Merely getting the rinse water to run pretty clear may not be enough, as ink can get trapped in various (depending on the pen) nooks and crannies. I see this all the time when I clean my Esterbrooks. The rinse water is coming out clear, and then I unscrew the nib unit and find ink or residues around the outsides of the internal part. Highly pigmented inks like many of the Noodler's are more likely to show this and they probably are less tolerant of mixing with other brands than are some more "classic" inks. There is a thread someplace about my experience mixing Noodler's Walnut with PR DCSS. Beautiful color but I never was able to get the bottle I mixed them in clean, and that was with a full chemistry lab at my disposal. 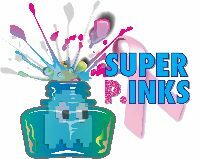 3) It is possible that some of these inks are harder on rubber sacs, just because of the higher surfactant level that many of the highly pigmented inks have. I've burned through three sacs in a Waterman Taperite in about 15 years with Noodler's Turquoise, not so bad but I'm still using a Parker squeeze converter from the late 1960s that has the original sac in it, mostly with Noodler's Nightshade (!) in the past 10 years. I love Green Marine, Walnut (though as mentioned above it is best in a wet pen), Ottoman Azure, Nightshade, Turquoise (now in an easier to resac Esterbrook $), Air Corps Blue-Black, and Eel Turquoise and Blue. I also have and have used (with a bit more care in pen choice and cleanliness) the late, lamented Noodler's/Swisher Aquamarine and Tahitian Pearl (Pilot 78Gs) as well as BBK (Faber-Castell Loom with converter), and FPN VGSN (Osmiroid 65). Beyond the sac issue above no problems with any of these, but I do make a point to use the pens they are in at least a couple of times a month to keep things flowing. All inks have their favorite pens and uses. Some are more high maintenance than others. There are lots of great inks out there. After a while you’ll aquire a number of inks to complement your expanding collection of pens. My preference are Sailor, Aurora, iroshizuku, de Atramentis, Montblanc, and Pilot. Not all the inks from a manufacturer behave the same. You just have to get some samples and see what works best for you. I stay away from Private Reserve and Noodlers in my expensive pens, only because there are too many variables for my small brain to deal with. By the way Pilot Blue Black ink is waterproof, inexpensive and can be bought in large bottles on Amazon. Thank you I will try several types of ink as you comment until you find the most suitable for each pen. You might also take a look at Robert Oster and KWZI. Both offer a lot of variety and the ones I have tried behave well in almost every pen I put them in. The KWZI iron gall inks tend to be a bit dry but some of the colors are stunning in wet pens. Edo98, go to the index of ink reviews and look up Noodlers. Every Noodlers ink that has a problem, I think someone had posted an issue about them. Barring that, get a couple of Jinhao's, a pack of 5 are $10 right now, I think, and some ink samples of some colors you like. Fill them full, use the pens, don't use them, but let them sit in the pen for a month. Then clean out the ones you don't like. If you see a residue, you have a choice to make. If it cleans out fully, the ink is fine. My Noodlers ink collection is quite large, including a number of show exclusives. Most ..... Are ...... Fine! And someone will come up with a story of how expert A or expert B has a pen and a Noodlers ink destroyed it, or liquified it, etc. Again, these arguments are well documented and you can find it easily here. I've had ink from that brand sitting in $300+ pens and they cleared right out. Really, for less than $20 ($10 for ink sample selection and $10 for pens) you can see yourself. If you care enough to ask about it, you are interested in trying it. So try it. I keep 3 Jinhao's around for just this reason. Give Noodlers a chance .... and a break.